- I picked a winner for the Spark & Hustle ticket giveaway. The winner was LaShawne Myles of Atlanta, GA! Her response was so well thought out and she was super excited about attending S&H. We will hear from LaShawne soon to learn more about her experience at the conference! - I started maternity leave in preparation for my son Chase to arrive. In advance of my maternity leave, I took a few last clients and assisted them with some major breakthroughs! Its times like these that I absolutely LOVE what I do and serves as confirmation for me that I am walking in my purpose. - Then on August 3rd, my son Chase was born!! 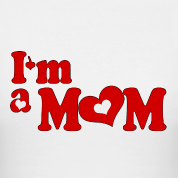 Becoming a Mom has been one of the most awe-inspiring, humbling, and life-enriching experiences I have ever had. I thank the Lord (and the epidural) for a very smooth delivery and a very healthy baby. Since my husband has returned to work and the grandparents have returned home, I’ve had lots of time to spend with him alone, which has been awesome. I can’t believe in such a short time, I can decipher what all of his little noises mean (I’m bored, I’m wet, I’m hungry, I need TLC, where the heck is my pacifier, etc). He’s such a joy and I can’t wait to see what the future holds for us. In preparation for my return to my coaching practice, I am actively filling my calendar for September. If you are wrestling with multiple passions and are looking for a clarity or if you are unsure about what your passion really is, then we need to chat! Sign up for a free consultation with me in September by emailing me at meddleton@golden-parachutes.com. You won’t regret it! You can check out feedback from former clients by visiting my Testimonials page. Congratulations on your new son Chase and welcome to mommyhood! And being a mother is the most tiring but most fulfilling work that I have ever done. Congratulations! This is awesome. Mommyhood is such a beautiful thing! Wait until he really starts talking…oh the things he’ll say! Fun times!